The Nespoli Group management expresses their values and enthusiasm not only through their business, but also by sponsoring those who are passionate about sports and challenge themselves in important competitions and events. 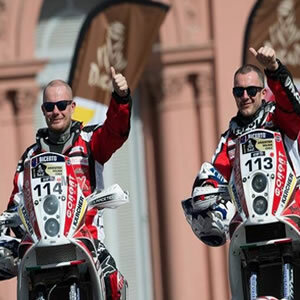 Marco and Alberto Brioschi, longtime experienced endurance bikers, participated to Dakar 2015, one of the toughest motorcycle races in the world. The selected pilots have to rally for 15 days through different countries of South America such as Argentina, Chile, Peru and Bolivia, for a total distance of 9000km. This competition involves technical and organizational difficulties, but above all pilots are required to have a great psychophysical preparation in order to endure the effort, complications and unexpected accidents. During the rally our pilots showed a fascinating passion, dedication and willpower. Unfortunately at the eighth stage of the route Alberto had to abandon the race because of an un-reparable mechanical damage.. Marco instead reached the finish line getting the 44th position of the general ranking, and 6th position in the marathon. Luigi Nespoli, President of Nespoli Group, has always been interested in different sports, but lately golf has become his passion; a sport that involves precision, a sport in which everyone is judge of himself, and where honesty and respect are the basis of the game. 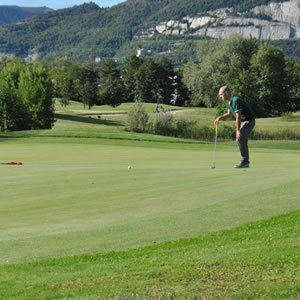 Every year in September, Nespoli Group organizes a Pro-Am Invitational competition. It’s a competition between teams composed of 4 players, 3 amateurs and 1 professional player. Each player plays individually and at the end only the two best scores are considered for the team. This type of competition doesn’t affect the handicap ranking.